Find out more about the world of Janet Laurence. Sit down and listen to the world of Janet Laurence, one of Australia's most evocative and celebrated artist. It was Rufus Wainwright who said, "I like to make the mundane fabulous wherever I can." Art isn't always about the creation of beauty, it's about finding it in the mundane. And nothing could be more true about QUT Art Museum's upcoming exhibition GLASS. 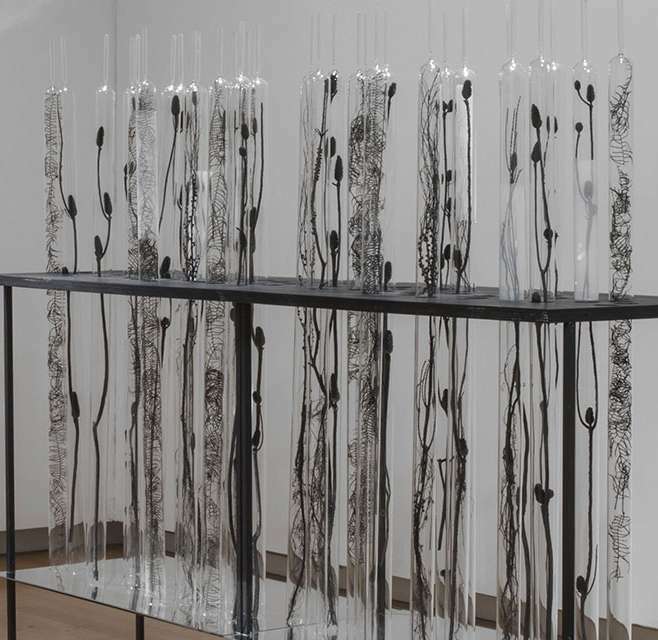 Split into 8 different themes, the exhibition sets out to explore the cross section that separates glass and it's practical purpose versus creative ability. From repurposing and recycling to skyscraper glass buildings, once you put one foot through the rabbit hole, expect to tumble deeper than you thought possible about such a mundane material. Janet Laurence has always had a connection to the natural world. Her work Natural History (Landscape and residue series) features in the exihibtion. Find out more about how Janet was able to connect the natural world to the man made material. Explore the connection between science, art and imagination. How these can be interlaced to create fabulous mundane. Join the conversation and make it a sleepover at The Johnson. As part of our Winter in Melbourne agenda, we’re reviewing all the events you need to get along to. First category off the rank; arts and culture.